So magical! So sparkly! If you love ponies and pretty things, read this! 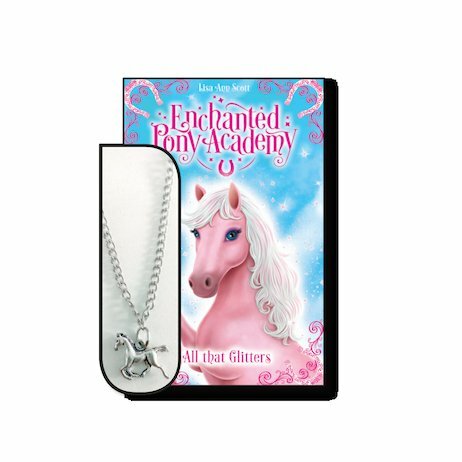 The first book in a magical new series, with a FREE pony necklace to keep. Welcome to the Enchanted Pony Academy, where glittery ponies learn to use their magic. Daisy is thrilled to have won a place at this very special school. But she’s also quite nervous. Daisy’s hooves are sparkly, but they don’t give off glitter. Even worse, she has no idea what her magical power might be. Is Daisy about to find her magic? Or has there been a horrible mistake…?